Students will produce original work using traditional and contemporary compositional methods as part of a collaborative engagement with an artist outside of the discipline of music. Partnerships with such artists may take place with other students in the local program (i.e. 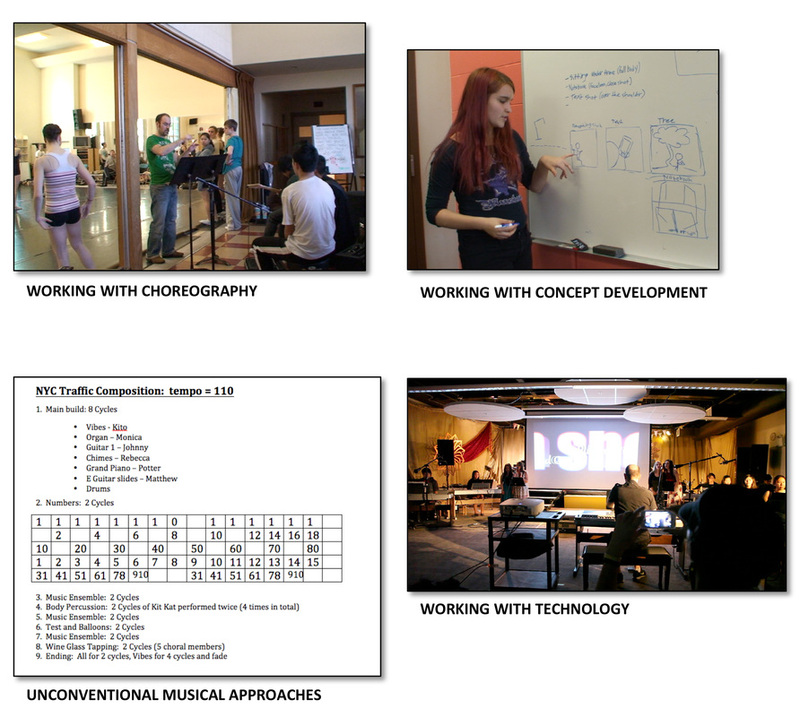 : arts installation), or with students in other fine arts disciplines at external arts training institutions.